One of the first groups I joined in AZ was a ROMEO Club (Retired Old Men Eating Out). Much like my ROMEO friends in Illinois, these guys were real-world hard working businessmen, thoroughly indoctrinated in the school of hard knocks with advanced degrees in common sense. Since the 2008 market crash our government, led by woefully misguided Federal Reserve, crafted schemes like TARP and QE I-II (whatever) to bring about economic recovery. 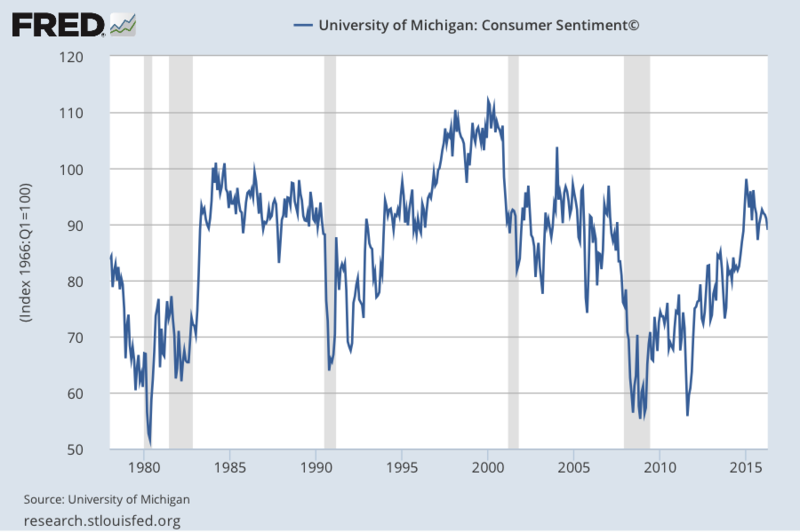 By gerrymandering interest rates down to record lows, safe high quality, fixed income investments disappeared. Money was forced into the stock market because investors seeking yield had no place else to go. Former Fed Chairman Ben Bernanke inferred the effects on seniors and savers as “collateral damage”. Propelling the stock market to record highs, and bailing out banks does not make for an economic recovery. The St. Louis Federal Reserve confirms our feelings. “Much of the work on the quantitative effects of QE consists of event studies, whereby researchers look for effects on asset prices close to the date of an announced QE intervention…. All of this research is problematic, as it is theoretical. ROMEO Brothers understand, if your problem is too much debt and spending – you don’t solve it by borrowing and spending more. Instead of the Fed wasting money at an annual Wyoming boondoggle, they would get a hell of a lot better real world education by coming to an inexpensive ROMEO breakfast. They wont hear any “economic theory” from some tinfoil hat ivy-league sophisticate who has never worked in the real world private sector. 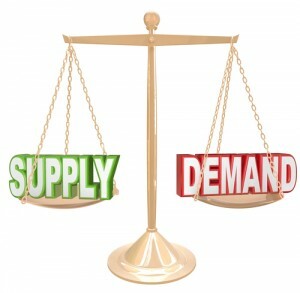 One economic law always rules a free market – the law of supply and demand. If supply is low, prices go up, and the same holds true for wages. If the labor market is tight, minimum wage laws be damned, the local fast food joint is going to pay whatever it takes and pass along those costs by raising prices. Demand means a whole lot of people want to buy your product or services. 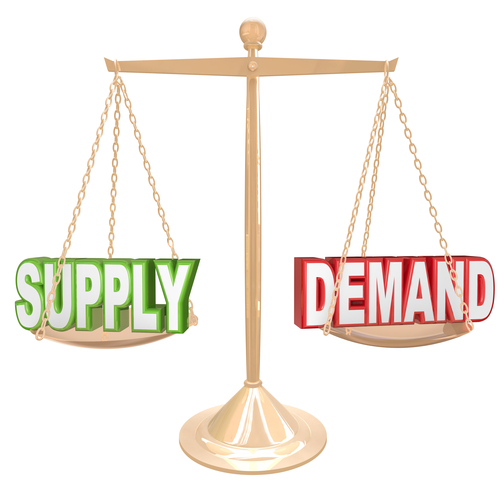 When demand exceeds supply prices rise. Businesses, not wanting to lose market share, build new factories and hire more people. Everyone is a winner! Supply is increased so consumers are protected from ultra-high prices. New jobs are created helping the economy, business owners make more profit and the government rakes in more tax dollars. 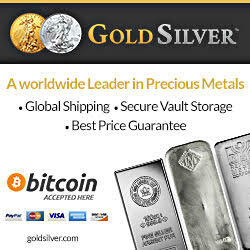 It is a competitive market that operates without government interference. Unfortunately, in today’s world the political class intrudes into free markets telling citizens they are smarter than everyone else and will solve all of our problems. 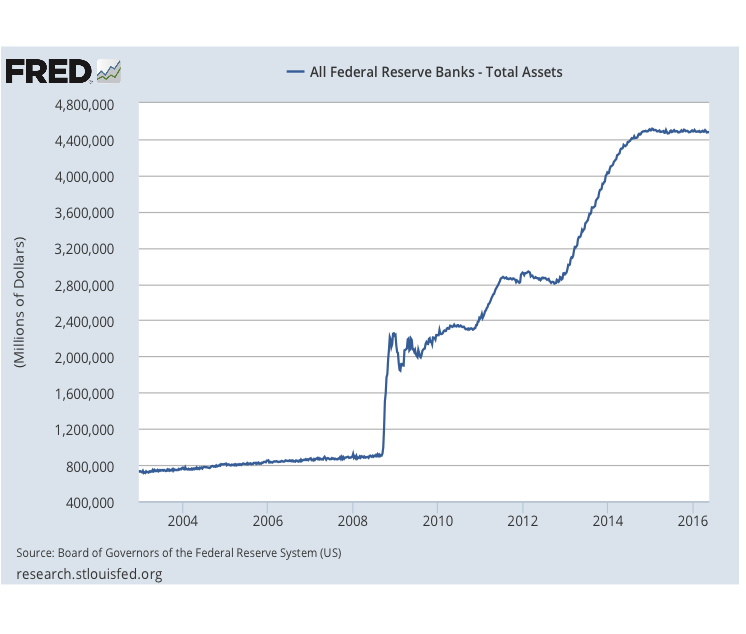 Since 2008, the Federal Reserve’s balance sheet has increased from around $850 billion to over $4.4 trillion. The Fed flooded the free market with money. 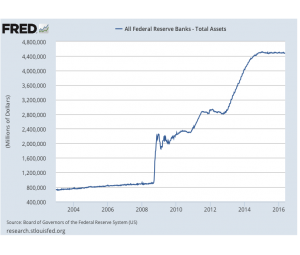 The money supply is now approximately 5 times more than it was when they started their economic experiment. When supply is high, prices (interest rates) go down. Savers are paid a pittance in interest compared to what they were paid in a free market. In 2008, I had several 5-6% CD’s. Today a three-year CD today earns 1.65%. I’ve seen estimates that savers have lost well over $1 trillion in interest. That’s a hell of a lot of “collateral damage”. When the government interferes with the free market they create catastrophic bubbles that eventually burst. “When the dust settled from the collapse, $5 trillion dollars in pension money, real estate values, 401 (k), savings and bonds disappeared. 8 million people lost their jobs; 6 million lost their homes. The economic wizards at the Fed believe increasing the money supply and making cheap loans available will spur demand and get the economy growing. The Wall Street Journal reports Stock buybacks hit a new record. Theoretically companies buy back their stock because they think it is undervalued. 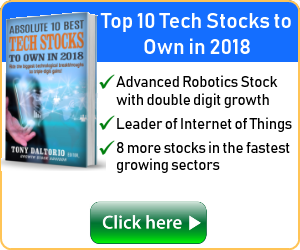 Today businesses are spending billions of dollars buying back their stock when the market is at an all time high. If business were booming they would be investing in capital expenditures, working like mad to meet the increased demand. There is no justification for expansion. How about wages? Real wage growth, when factoring in inflation, is not happening. But wait, isn’t the government reporting that unemployment numbers are improving? The mirror image of unemployment numbers improving would be an increase in the Labor Participation Rate. It was not that long ago that Marketwatch let the cat out of the bag by reporting that the Labor Participation Rate matched a 35 year low. If there was true economic recovery, business would be booming and industry would be raising wages and hiring more workers. It is not happening! Their theory is flawed and will not work. If it did work, Japan would have recovered from their downturn decades ago. Confidence is once again trending down. I wonder if the researchers go to the coffee shops in working class neighborhoods and listen to the locals around the breakfast table. ROMEO Brothers know what healthy, growing economies look like. In boom times restaurants and stores are opening, not closing. Companies are hiring, not announcing layoffs by the thousands. Construction cranes fill the skyline, instead of being sold for pennies on the dollar. Real wages are rising while people complain about working too much overtime as opposed to being worried about layoffs. 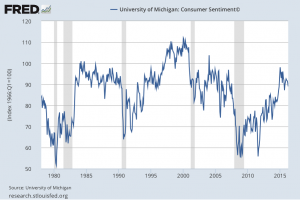 Only the eggheads in Washington need a Consumer Confidence Survey to tell them what mainstream America already knows – things are tough and not getting any better! Why won’t the Fed plan work? The largest demographic group in the US is baby boomers. They are retiring at the rate of 10,000 per day and will continue for the next 15 years or more. 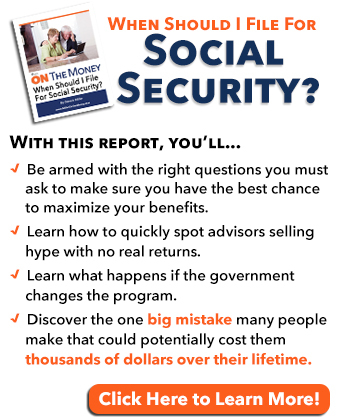 In just the next 12 years the number of people on social security is estimated to go from 59 to 79 million. The Fed can go to QE-8 and it will make no difference. The demographic group with the most disposable income – the one group that could jump-start the economy, are digging in and not spending. Baby boomers and retirees do not want to borrow money; they want to get out of debt. They are downsizing and cutting back on spending because they are scared. ROMEO Brothers don’t lack confidence in a free market economy. They realize the government’s continued interference in the free market is the problem, not the solution. A free market will right itself; just give it a little time. If the government wants to create real economic demand, get the hell out of the free market. Cut taxes, let the market set real interest rates and allow people to pay off their debts. 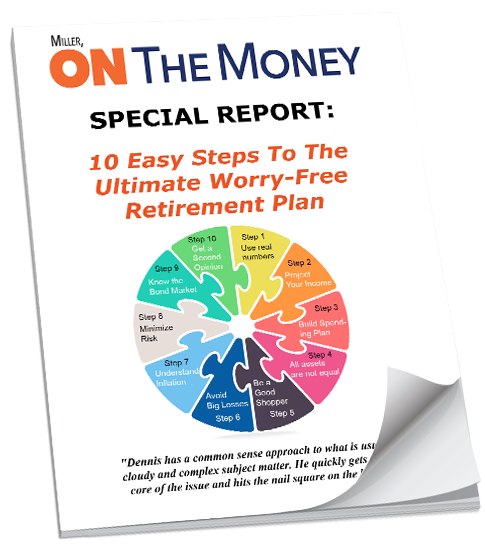 Once retirees and boomers feel they have a secure income, their confidence will soar. It’s called “income certainty”. They will buy motor homes, eat out regularly, go on cruises and buy more cool stuff. Baby boomers didn’t work their butts off to retire like misers, they want to have some fun; but only if they feel as though they can spend money and not worry. History tells us governments may never do the right thing; however eventually the market will. Bubbles eventually burst and things collapse. Boomers and retirees are holding on hoping to survive. Top quality fixed income investments are unlikely to beat inflation after taxes. The stock market is a house of cards. There is no “safe and worry-free” asset class to invest the majority of your nest egg. Until things change we must invest in a new environment, and very carefully. Monitor your position sizes so no single investment can cause catastrophic damage in a downturn (5% or less of your total portfolio). Keep your stop losses tight and current (20% or less trailing stop). Don’t panic or give up; good options still exist. Diversify into smaller, under the radar, companies that are growing and expanding. These are companies who serve consumers and there is a real need for their products or services. There are still some good yielding, safe income investments available. In both cases you may feel they are like finding a needle in a haystack, but when you identify and invest in one you will be well rewarded. Use extreme caution until the dust settles after the upcoming election. Be patient, the market will eventually correct as it did in 2008. ROMEO Brothers have been through boom and bust economies. When the bubbles burst moneymaking opportunities arise in a lot of areas including the stock and bond markets. Those with capital can make handsome profits. Be patient and keep your powder dry! I encourage readers to watch Mike Maloney’s video “‪‪How Negative Interest Rates & Deflation Will BANKRUPT THE WORLD”. Mike makes reference to my recent article about Janet Yellen and the Federal Reserve. He adds some very significant data that affects many generations. Mike has a complete (FREE) series titled “The Hidden Secrets of Money” which are some of the best I have ever seen. Many investors question how we can be worried about inflation when we are in the middle of a deflationary economy. Mike explains economics in understandable terms and shows us how things have the potential to turn on a dime. I prefer not to be blunt but in this case I feel it is called for. Those who are prepared will survive and do well. The unprepared stand to lose a great deal. On the flip side, my wife Jo attended her 50th high school class reunion last weekend and had a wonderful time. Everyone was raving about 99 year old Juanita H. (Class of 1934). Memorial Day is “reunion weekend” and all classes are invited. She has a 100% attendance record – meaning she has attended every year for the last 82 years. Someone call the Guinness Book Of Records. The evening highlight was when she was given the microphone and announced she planned on attending the evening dance. She then summoned up an elderly gentleman and they danced for everyone to a great round of applause. That sure puts a lot of things in proper perspective! Good friend Phil C. sent me some answers that 18 year olds used in recent GED exams. My how generations have changed since Juanita went to high school. How is “freeing up the market” going to change my CD paying much less than 0.5 percent while, if I or others who have parked their money in the same bank want To take out a personal loan from it, we will have to pay 9.9 percent? You ask a good question. I must start by saying I am not licensed or qualified to give personal, individual investment advice. While I will talk in general terms, I always suggest you consult with a qualified, licensed financial advisor. Borrowers do very well in a low interest rate world, savers do not. When you are a boomer trying to accumulate wealth or a senior trying to hang on to it. When Yellen says she made it easier for borrowers, she is right. Who are the biggest borrowers? The government of course. 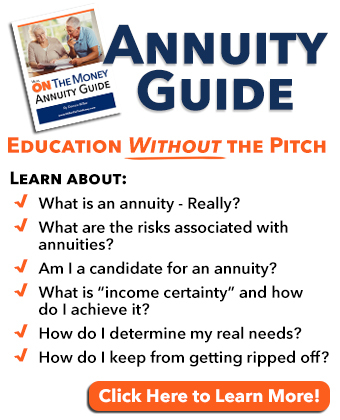 Every annuity, pension fund, 401 (k) and IRA is suffering from low interest rates. Banks make their money on the spread, so if their cost of money goes up, the cost of borrowing will go up. If you want to borrow money, shop around and get the best deal. I am a strong believer in Lending Club. At the same time, if liquidity is an issue, I also suggest staying very short on CD’s. With a .5% interest rate on your CD, I would guess it is not too far from maturity.